Check larger version at Amazon. 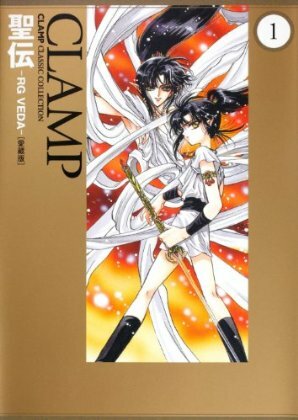 Also, CLAMP’s Official Shop is now open. Apart from the aforementioned Tsubasa 2012 Desktop Calenda, the online shop also contains GATE 7 and all-characters related products. Unfortunately the shop only ships within the Japanese territory. 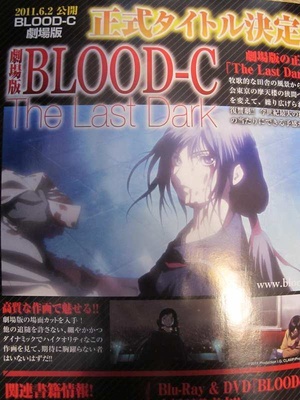 The January issue of Kadokawa Shoten 's Monthly Shōnen Ace magazine is announcing on Saturday that the Blood-C anime film will be titled Blood-C : The Last Dark . The last episode of the Blood-C television anime series had already revealed in September that the film will open in theaters in Japan on June 2, 2012. The calendar will feature 12 illustrations taken from Tsubasa's deluxe editions cover. The calendar pages can be also be used as postcards (so you can send holiday cards at the end of the year, how thoughtful!). To celebrate the launch, the official online shop will present a special sticker to all customers.